You are here: Home / Frequently Asked Questions / Why Does the Insurance Company Get to Choose my Doctor? Why Does the Insurance Company Get to Choose my Doctor? Under Georgia law, your employer has the first opportunity to control the medical treatment for your on-the-job injury. If you are injured on the job and your employer accepts the claim, your employer and its insurer have the right to direct where you get your medical care. Code Section 34-9-200 and 201 specifically provide that an employer/insurer meets its obligations under the workers’ compensation laws by providing a posted panel of physicians that includes the names of doctors selected by the employer/insurer. The employer/insurer’s right to control medical treatment is not without limits. First and foremost, the employer/insurer can only control medical treatment if it accepts your claim. Often, the employer/insurer will controvert a claim and refuse to pay benefits (click on the link to learn more about the various arguments used by employers to controvert a claim). If the employer/insurer controverts a claim it cannot also demand that you treat with a specific doctor. Secondly, the employer/insurer has an obligation under the law to post a list of physicians (this list is called the “posted panel”) from which you can choose a doctor. If the employer’s posted panel is invalid, you can choose any physician and the employer/insurer must pay for treatment. Click on the link to learn more about what constitutes a valid posted panel of physicians. Third, you have the right to seek emergency care from the nearest physician or hospital and the employer/insurer must pay for that care, although you must seek treatment at a panel physician as soon as the emergency has abated. Finally, you have the right to request a change in treating physician if you are not satisfied with the quality of care you are receiving. Sometimes the insurance adjuster will agree to a change, but often you and your lawyer will have to argue this issue to a judge or mediator. What is the Logic Behind Giving the Employer/Insurer the Power to Control Medical Treatment? In my experience, control of an injured worker’s medical care can be crucial to the outcome of a workers’ compensation claim. Not surprisingly, physicians selected by employers or insurance companies tend to be very conservative, often quick to return an injured employee back to work and likely to minimize the seriousness of a particular injury. Some of the “company doctors” I see in my cases are unacceptable to me because of questions I may have about their abilities or about their objectiveness. Many panel physicians and industrial clinics get most of their business from workers’ compensation insurance company and they will want to keep their sources of income happy. I spend a significant amount of time in my cases negotiating with and arguing for better and more evenhanded medical care. In most states, the workers’ compensation laws give employers the first shot at controlling medical care. 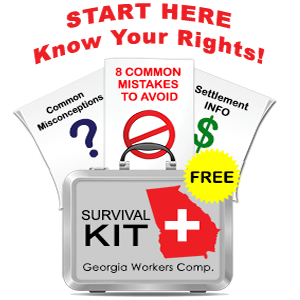 Workers’ compensation laws are a creation of state legislatures – the reason that employers have this advantage is that elected representatives in Georgia and elsewhere decided to write this into the statute. Because I interact with workers’ compensation adjustors and physicians all over the state who accept workers’ compensation patients I am able to offer my clients the benefit of my experience in dealing with this aspect of the workers’ comp. system. I have seen far too many legitimate and seriously injured claimants who proceeded without representation lose their benefits or settle for far too little because they did not know how to demand the right kind of medical care. Obviously, I hope that you will consider my firm to represent you but even if you do not choose me to serve as your lawyer, I hope that you will not decide to navigate the dangerous waters of workers’ compensation alone. 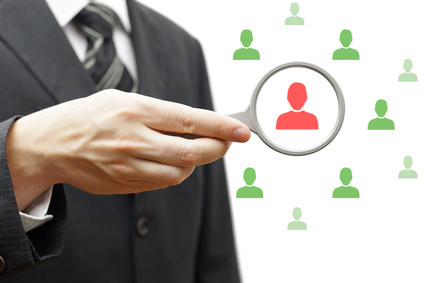 You should not assume that a physician chosen by your employer or its insurer has your best interests at heart. If you sense that your medical treatment is not what it should be and you would like to discuss how I might be able to help you, please call me office at 770-351-0801 or email me by using the contact form on the right side of this page.